They kindly donated 100 cd-s for Sahaja Yoga Radio (which you might know is funded by donations). 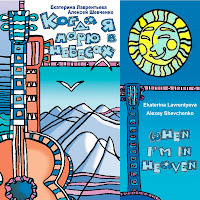 If you are interested to purchase the CD (the price is 10$) please send us and email. Shri Mataji explains the secret of Monalisa'a smile which has fascinated us for generations. The relationship of pure motherly love and art and how it blossoms into a timeless genre of paintings wherein mother and child are depicted. Being a "father" of 108 children might be a challenge for some, but Gerald masters it perfectly. Since six years he is responsible for the artistic direction of the world renown Vienna Boy's Choir and works closely with over 100 very lively boys. And that's not everything he does. Excerpt from the film "Freedom and Liberation", about the life of Shri Mataji Nirmala Devi, directed by Carolin Dassel, 2006. Born in the craddle of Classical Music, Vienna, Austria, this young composer and conductor tells us about his latest projects and how meditation has influenced his work. A Realize the World Slideshow! We'd like to thank all the artists that are sharing their creations with radio listeners. We are thinking to create the Sahaja Yoga Radio Library containing music available for download. Being a white guy, coming from Finland and singing Soul Music, might be unheard of and yet it does exist. Enthusiastically welcomed by the Finish Media HUBA’s first record was considered to be a perfect blend of powerful songs and outstanding music. Front man Tuomas Kaila, talks about Soul, Music, Meditation and of course about HUBA. At the end of a long, dry spell of weather, the story's narrator, young Dan Waterman, sees something extraordinary - the faint traces of an ancient giant figure cut into the side of one of the chalk hills just south of London. [There are several such figures in England.] Stranger still, this figure is of Lord Shiva dancing. Dan's father is enthralled - being a historian, he knows how remarkable this find is. However, the following day it rains, the grass grows, and before they can arrange for an aerial photograph of the site, the image is lost. What happens next precipitates Dan's father into despair, makes enemies of Dan and his sister Clara, and leads closer and closer to the carving of a very different image on the hill. It's up to Dan to save the day by finding proof that the chalk giant existed - only thus can his father's work be accomplished and family harmony be restored. But how and where can such proof be found? And who is that sinister figure who, somewhere in the background, is also searching for proof? What does he want it for? Confronted with a surprising range of enemies, can Dan find what he needs before it's too late? The novel is written for both Sahaja Yogis and non-Sahaja Yogis - but the former will recognise at once the symbolic dimensions of the story. 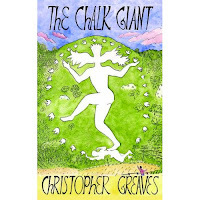 THE CHALK GIANT by Christopher Greaves [ISBN: 1-4259-3897-3 (sc)] is published by Authorhouse and is available from Amazon or Authorhouse, or can be ordered from all good bookshops. “If people become loving and affectionate, this soil itself will become fragrant. First thing you must learn is to love each other… But still the world is going on with wars, fighting and all kinds of troubles The whole world has to come up to love each other. There is no other solution but to love and in that love there is no selfishness but enjoyment, and that enjoyment you should feel and give it to others." A wonderful Bhajan, describing the incomparable eyes of the Divine. An illustration of this great song based on the work of William Blake - inspired by the teachings of Shri Mataji Nirmala Devi. The Legend of Dagad Trikon by Grégoire de Kalbermatten is now available in paperback at $US 16.95. Sunday: June 17th in Niteroi, Rio de Janeiro, Brazil: Showcase of Indian Arts and Meditation. About 400 seekers attended and got their realization and joy of the arts. A rags to riches story of the ex bass player of the Counting Crows and his journey into spirituality and family life. We started a new blog that will run in parallel with the radio newsletter. Both will try to keep you up to date with the new music added on the radio but will try also to promote the Sahaj books, movies, etc. We'll try also to arrange some interviews with Sahaja Yogis and Yoginis and find out more about their creations.